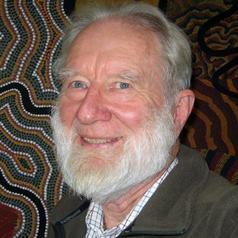 Dr James Bowler is one of the most distinguished Australian geologists working in the field of geomorphology and environmental reconstruction. In particular his work has focussed on the evolution of climate, landforms and soils in arid and semi-arid Australia and China. His research has been successful in elucidating the history of the Australian dune fields and the sequence of events that led to the development of the lunettes of the lower Darling and Murray Rivers. This latter work resulted in the finding at Lake Mungo of the fossil hominid material that changed our views of the period of human habitation of Australia. He has also had a major influence on the way in which we think about Quaternary climatic changes, thus providing an historical perspective for the national contribution to the International Geosphere Biosphere Program.